Over the last few weeks the Yes 2 Renewables campaign has been engaged in a public debate with the Liberal party member for South Barwon, Andrew Katos MLA. It’ll be of interest to those following renewable energy policy and politics in Victoria, so here’s a run down. The debate was kick started by a letterboxing initiative Y2R have been undertaking in the South Barwon electorate. Community groups and locals who are passionate about addressing climate change and rolling out renewables have joined us to distribute information about the Baillieu governments anti-wind farm planning laws. 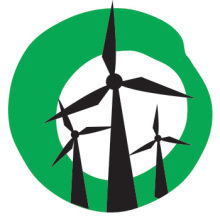 The Geelong Advertiser’s subsequent report on the awareness-raising campaign included statements from Mr Katos about the government’s current planning regime for wind farms. It was these comments by the local member that motivated me to set the record straight with an opinion article, published on August 20.